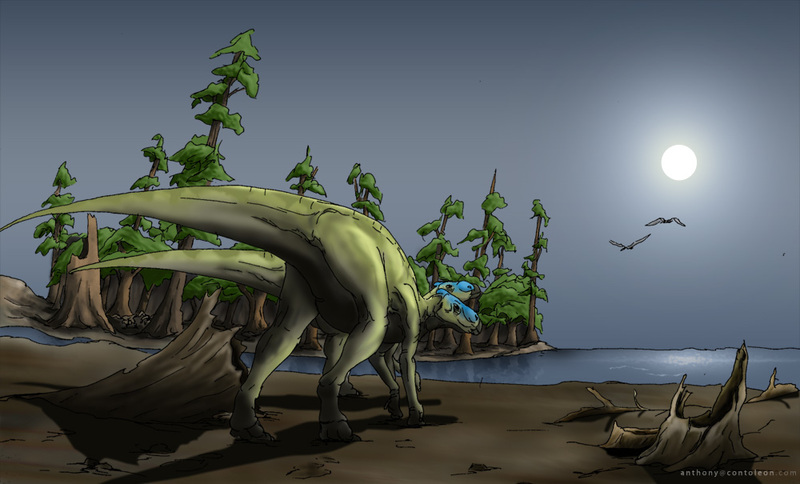 The final Hardosaur drawing I submitted to the Art Evolved blog’s gallery of Hadrosaurs was finished and coloured in Photoshop. Unlike so many other Hadrosaurs, these ones appear to be unmolested by Tyrannosaurs. They are actually a pair of Brachylophosaurus, for those paying attention, wandering around some kind of river delta. This entry was posted in Coloured Desksketch and tagged Dinosaur, extinct, Hadrosaur by Anthony. Bookmark the permalink.